Tea: it’s what fuels all my craft projects. And my work. And, well, my entire life. When I had to give up coffee last year due (it’s a long story), I needed something caffeinated to fill the hole in my life. It turns out that tea more than filled that empty space. Ahh, tea. Plus, my favorite mug – an old Beauty and the Beast mug I found at a thrift shop years ago. I almost wonder why I never got into the tasty world of tea earlier. There are so very many different flavors of tea out there, and different varieties of the same kind of tea – for example, did you know that every variety of Earl Grey I’ve had tastes different? Some have a stronger bergamot taste and smell, some have different flavors added, and they’re all unique and tasty. Beyond just Earl Grey, there are so many different delicious teas out there – like Lupicia’s Rose Royal black tea, Adagio’s Cream Tea, Celestial Seasoning’s Bengal Spice tea, and my morning staple, Yorkshire Gold tea. There are some serious tea nerds out there – like J and Kasi, who have a tea shelf that’s taller than me and FULL of different types of tea. Me, my tea shelf is nowhere near as impressive, but it’s definitely full of tasty tea. I’ve acquired a variety of teas from all over the place, thanks to friends and discoveries online. And I just keep finding more tasty tea. And nerdy tea, too! Like the Fandom Blends from Adagio Teas, who let tea lovers make their own tea blends based on favorite TV shows and books. It’s fun to try them out, and see what sorts of blends people come up with for your favorite fandoms. 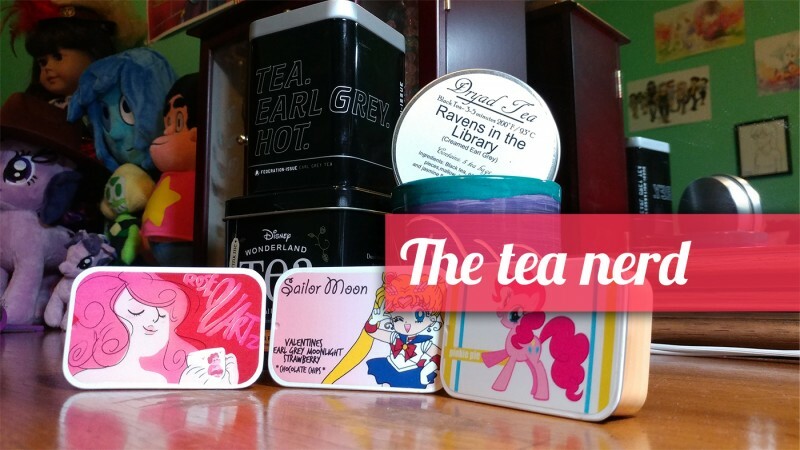 I can vouch for the tastiness of the following teas – I especially like the Sailor Moon blend, it’s incredibly tasty. 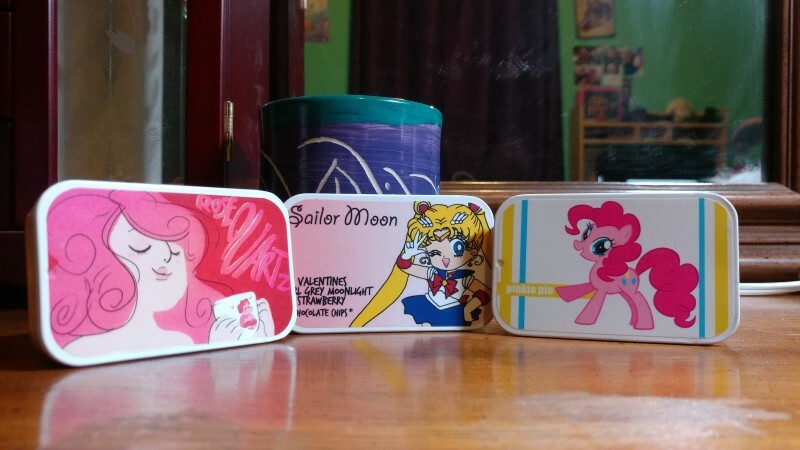 The Rose Quartz and Pinkie Pie teas are really good, too. 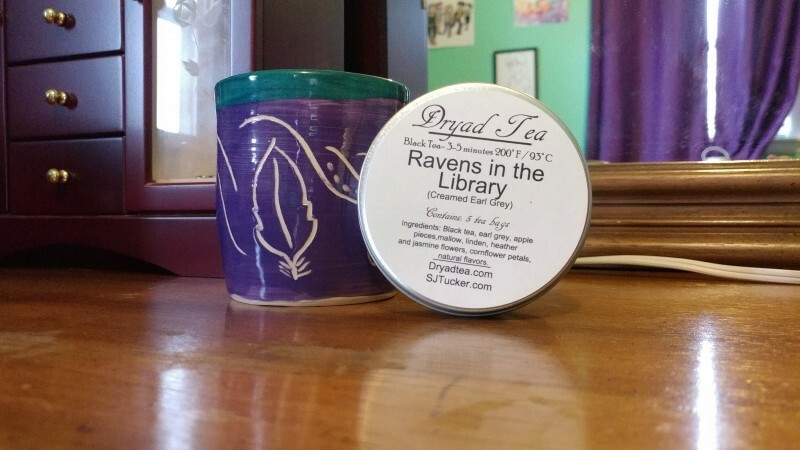 Dryad Tea also makes nerdy teas – and plenty of them, too! (My favorite of theirs is based off of an SJ Tucker song, Ravens in the Library.) In addition to tea, though, they make absolutely beautiful mugs and nerdy tea infusers too! Check out this lovely handmade mug I got from them at Gen Con. 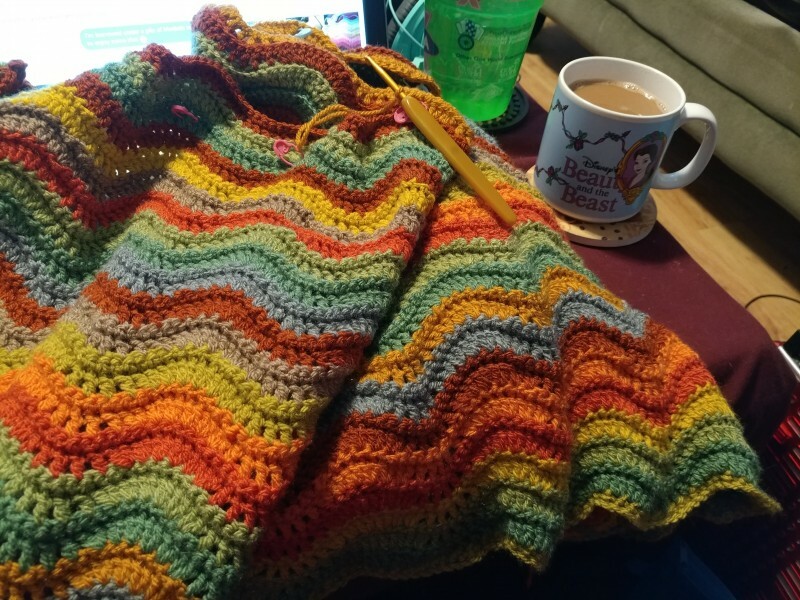 I absolutely love those colors together – this is one of my favorite tea mugs, for sure. Dryad Tea is definitely one of my favorite discoveries from Gen Con last year, for sure. 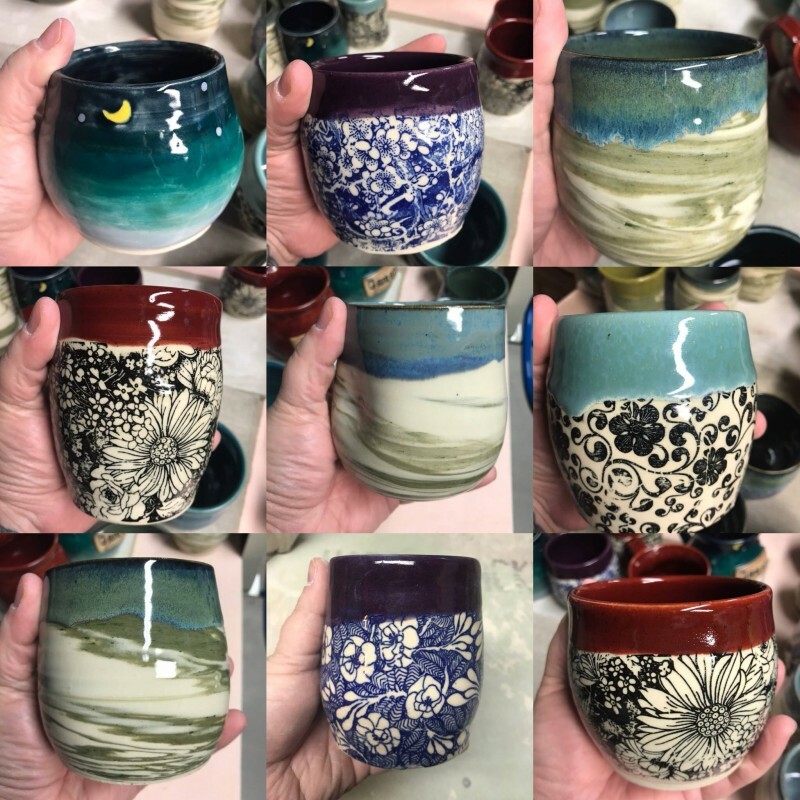 I plan on loading up with more of their tea soon, and purchasing another mug from them during Gen Con – look at these beautiful mugs they’ve just finished up!